This review describes the present status of fisheries in Iran. Iranian fisheries include the Cas-pian Sea, the Southern Seas (the Persian Gulf, the Oman Sea and the Indian Ocean), inland wa-ter fisheries and aquaculture. Fish production in Iran enlarged from about 400000 mt in 1997 to 562000 mt in 2008. However, it was 451.189 ±66.625 mt annually between 1997 and 2008. The most important fish species in the Caspian Sea are kutum, grey mullets, Sturgeon and kil-ka. Tuna fishes are predominated in the Southern Seas. Chinese carps and rainbow trout are the most important fish in aquaculture and freshwater fishery. 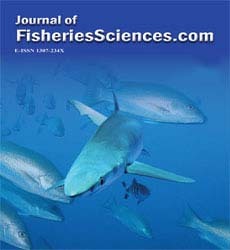 The catch composition of the Caspi-an Sea includes especially bony fishes species and Sturgeons. These fish species are also based on the artificial propagation to produce fry and fingerling for restocking. In recent years, there has also been an increase in the aquaculture production and fishery industry in Iran. For exam-ple, annual mean production of fry and fingerling between 1997 and 2008 was 541.874 ± 254.450 million. The production of kutum fry and fingerling was the most abundant with an-nual average 182.731 ±42.699 million. After 1997, the production of shrimp post larva was 524.2 ±349.9 per year. In addition, the consumption of fisheries production per person per year and annual average of exported fisheries production value (61.43 ±14.39 million $) also in-creased after 1997.